CatsPlay.com sells everything imaginable for cats (and dogs, too)! A huge selection of cat furniture, pet carriers, pet beds and designer pet furniture, collars, jewelry, toys, gifts, and more. These Life-Like Hollow Trees are Purrrfect for Playing, Hiding, Climbing, Lounging, and Sleeping. They are available with Fabric Bark exteriors or the new Textured Wood Exteriors. There is one to fit every lifestyle in sizes 3′ to 10′ tall. 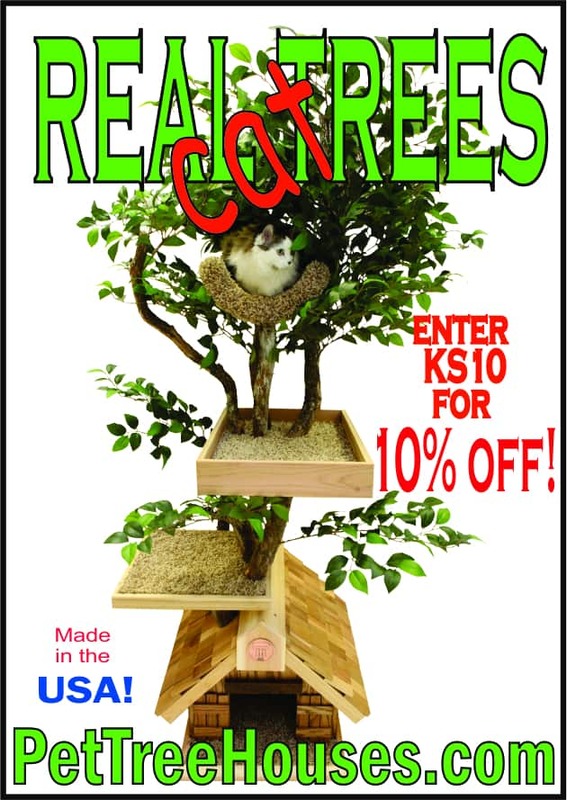 Spoil Yourself and Your Kitties with one of these Fantasy Trees! Stop wasting time cleaning up litter mess from around your cats litter pan and tracked litter from all around your home. 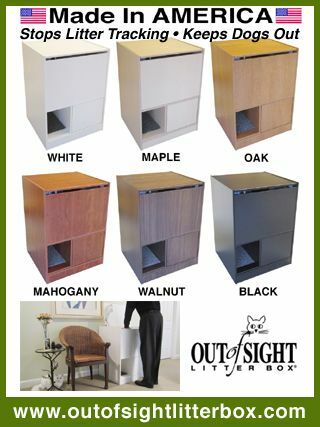 The Out of Sight Litter Box® stops kitty litter tracking, hides cat litter mess and keeps dogs and kids out of the litter pan! One minute in the morning and at night is the only time you will spend on cat litter anymore. Designed by a multi-cat owner who understands what you have been searching for! Cabinet size: 25 1/2 wide x 24 deep x 35 1/4 inch tall. Included with cabinet purchase are two (2) large High-Sider® litter boxes that keep kitty from ‘missing’ over the sides. Plus TraxTurf® a Litter Scoop and an Odor Absorber! Cat FurniLife – Cats are one of the most adorable creations that are always loved by homeowners around the world. Cat Tree Plans – Simple step by step directions on how to build your own cat trees. 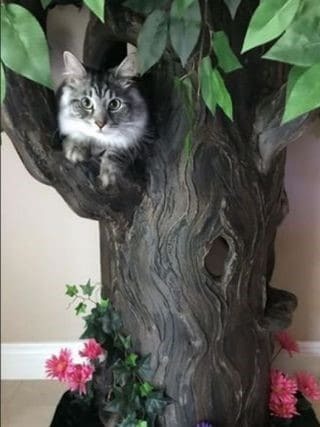 CozyCatFurniture.com – Cat Trees, Cat Towers – Complete selection of cat furniture, cat trees, cat gyms, cat condos and cat towers for every cat. MeetIDEA – This extra large covered cat litter box has hidden enclosed dome space, fits for big cats up to 7kg. Pet Modern – Pet Modern is a collection of the world’s most modern cat condos, houses and trees. Playtime Workshop Cat Furniture – Beautifully designed cat furniture! Offering the highest quality cat furniture, trees and condos that can be found. selfpetcare – It’s a trusted and helpful resource where people can know solid cat related information. The Cat’s Den – Outdoor cat enclosures, custom designed for shelters, apartments, windows. Also build-your-own kits. TheCatandKittenStore.com – Fun discount cat furniture, cat trees, cat condos, cat towers, cat scratching posts and more unique cat furniture with free shipping! TopCat Sisal Scratching Posts – TopCat Scratching posts are designed to prevent furniture scratching. Ultra Modern Pet – Ultra modern pet is a collection of today’s most cutting edge creations for modern pet living.